Town & Country, already a well known and popular surf brand, introduced a line of bodyboards in 1990. T&C's strategy was to offer only boards for intermediate and advanced level riders. 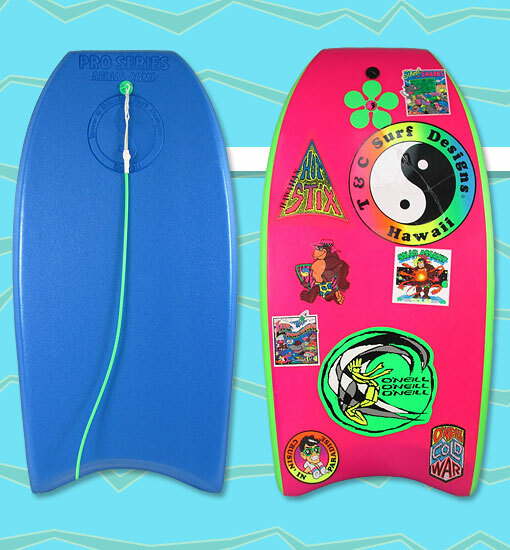 All of T&C's boards were manufactured by Sentinel, the parent company of BZ, so the construction and features were comparable to other bodyboards under the Sentinel umbrella including BZ and A-Tach. The Pro Series Aerial Comp model featured slick skin rails on the lower chine and was for average-sized riders.